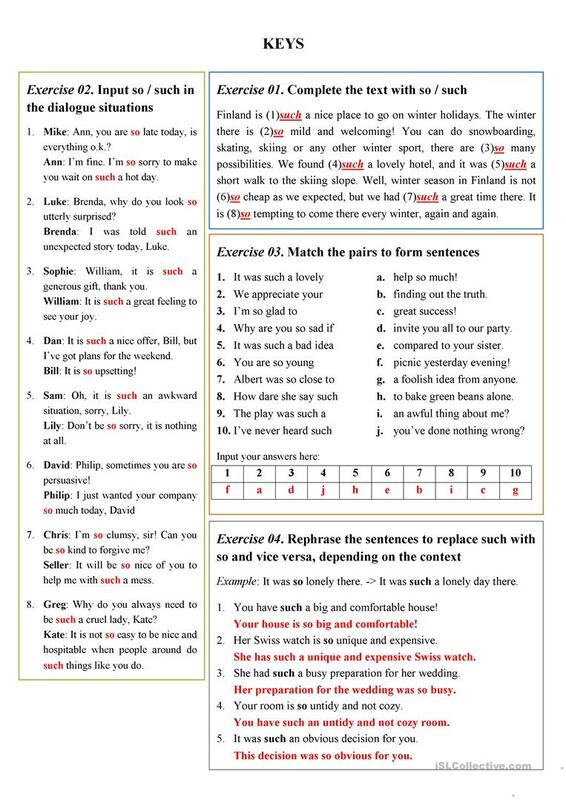 If your students have problems in the usage of these words, this worksheet will definetly help you. The keys are attached. Your comments are always warmly welcome. 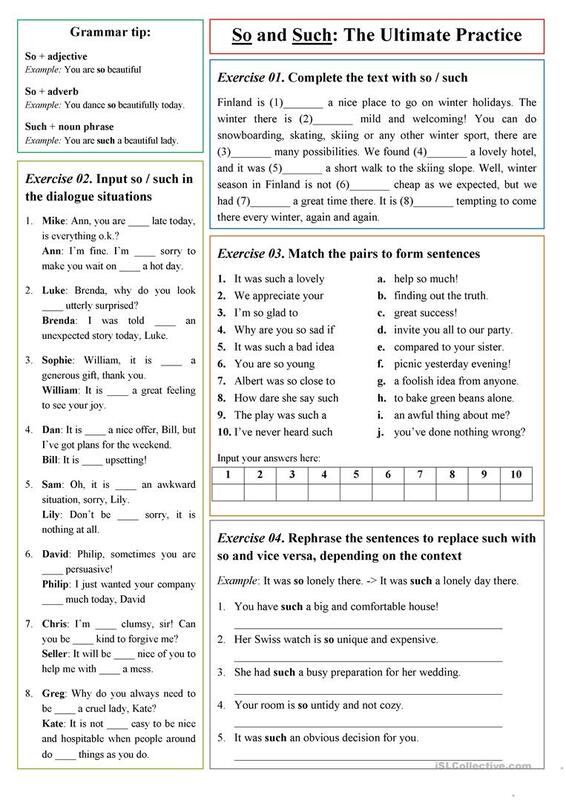 The above downloadable worksheet is intended for adults at Pre-intermediate (A2) level. It is aimed at consolidating SO or SUCH + adjectives in English, and is useful for enhancing your groups' Speaking, Reading and Writing skills. It features the topic and words of Travel.